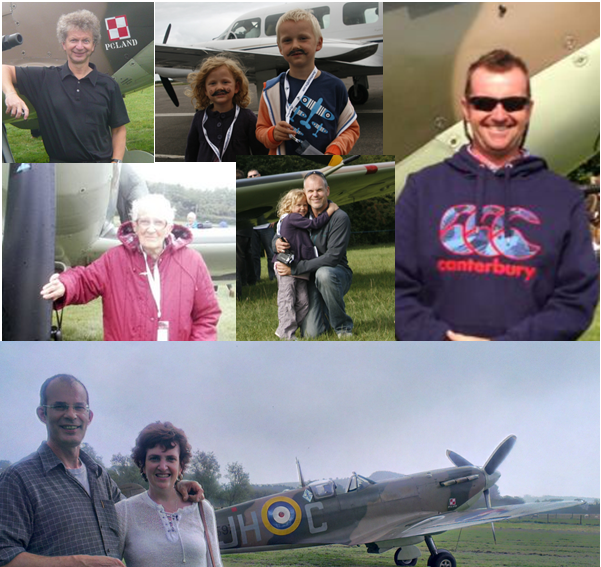 For over five years now we have flown over four thousand Spitfire and Hurricane enthusiasts from all over the world. Many still contact us and remark how memorable and enjoyable their flight was with these classic fighters. Even their beautiful photographs are often surpassed by the vivid memories they recall of that very special day. Cruising above the White Cliffs of Dover, with Charlie flying BM597 within waving distance, elegantly making the Spitfire dance through the sky around you... this sight stunned everyone on board into silence - the speed and agility of this legendary fighter being flown by a true master gave everyone cause to gasp in awe. Many have dined off the stories they have to tell of their experience flying with the Spitfire, which ultimately became part of their ‘Finest Day’. This was the day that gave them the sight of the Spitfire flying alongside them, the roar of the Merlin engine, the conversation with our pilot Charlie Brown, and the sharing of knowledge and deep passion for this legendary aircraft with other enthusiasts. As we get closer to the start of the 2015 flying season, you too can join this happy band of enthusiasts, and celebrate the 75th Anniversary of the Battle of Britain in style. We still have a limited number of places on some flights - the Double Fighter Experience with the Spitfire and Hurricane is proving particularly popular. You too can capture magical shots like these on one of the most unique flying experiences ever offered in the UK.All the images on our website have been taken by members of the public who have joined us in the air.